I am sitting in a café across the road from the beach in Bronte, Sydney. This stretch of road has a whole row of cafes side by side facing the sea. This is my favourite kind of writing place: one where I can sit comfortably for a long period of time and where the owners of the café know me and welcome me. This café is owned by a Brazilian man and his wife and has comfortable upholstered bench chairs with a direct view of the Pacific Ocean. For my two-hour writing session my choice could be a traditional Brazilian dish such as Coxinha, Feijoda or Moqueca. Or a cocktail like Caipirinha or Caipiroska. I must order something and it must be more that a Soy Cap, because I plan to be here for a long time. I want the owners of the café to know I appreciate the time and the space they are allowing me. Why go to all this trouble to find a place to write? Why not just stay home and work? Because it’s good to get out and have a change of scene. I find I need to be happy and relaxed when I’m creating on the page and sitting in a café with a pleasant vibe works for me. Other writers need silence in order to concentrate, but I need to feel I am out and about in a beautiful place having a good time before the creative juices flow. Strangely, writing in a café can help to increase concentration. The busy café atmosphere keeps the sensory part of you occupied and content, so that the hidden, quieter part of you that composes and focuses is allowed to do its work. It is something like being cunning when trying to get a spoonful of food into a resistant toddler’s mouth: You pretend to be an aeroplane with all the sound effects and movements before landing the food-laden plane inside the child’s mouth. Mission accomplished. It is preferable not to turn up at a cafe for a cup of coffee and a writing session at the cafe’s busiest times, like breakfast or lunch. Go at the in between hours when they are pleased to see you because they don’t want the place to look deserted. The beach cafes are places I frequent in spring, autumn and winter, but not much in the summer. Far too crowded and noisy. There is a real art to finding the right place to write. For me the best place is one that has comfortable chairs, a pleasant outlook (preferably a view of the the sky and/or green or water). A welcoming, almost homely, atmosphere. What about you? Do you need to be at your desk in total silence to write, or do you like to experience the swell of humanity around you—to be surrounded by other human beings? Or at home listening to a particular kind of music? Let me know in the comments and please share this post with a friend if you enjoyed it. Interviewer: I would like you to tell me about your Path to Publication from first idea to finished book. I’d like to know your inspirations and how The Crystal Ballroom became more than an idea. I also want to know about your writing process. Do you sit at a desk 9-5 or at a cafe during snatched lunches? Did you write the book in a spurt of three months … how long did it take from start to finish? Did you have cold readers, send it to an agent or to a publisher? Were you accepted straight away? How many rewrites and drafts? Me: I usually write stories about places and people that I know well. I take real events and characters but change things around and shake them all about and make things up. So, for The Crystal Ballroom, I had been dancing Argentine tango, rock and roll, jive, swing, Latin American and ballroom dancing for many many years. I used to dance five nights a week. I’d drive all over Sydney for technique classes and to dance at different venues. The place, ‘The Crystal Ballroom’, is a fiction but this dance hall becomes a character in the novel. I was inspired by the people I met at the dances and the politics of the ‘dance scene’. It took me 4 years to write The Crystal Ballroom. The chapters are self-contained, so I was able to send some of the discreet episodes out to Quadrant magazine for publication. I belong to a weekly feedback writing group where we critique each others’ work. So I write to that weekly deadline. In the early years, when I’d finish a manuscript I’d pay an editor or mentor to read it and give me feedback. I’d also ask a couple of friends to read it and give feedback. I never send a manuscript to an agent or a publisher that hasn’t been reworked 20 to 100 times – that includes the rewriting along the way. 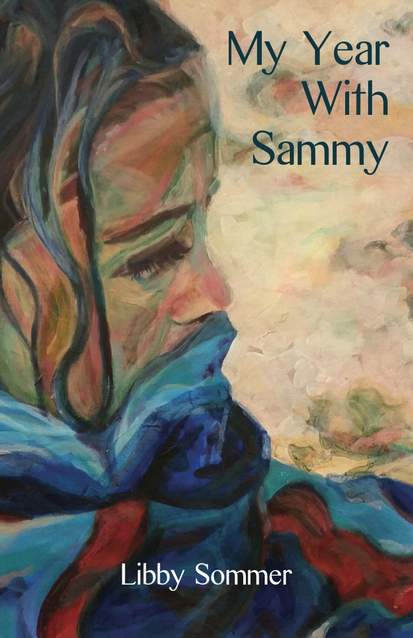 My Year With Sammy was my first published book. It was accepted straight away by Ginninderra Press, a small but prestigious publisher (thought-provoking books for inquiring readers). It was my fifth book length manuscript. I had sent the previous books to agents and large publishers. All my confidence had been knocked out of me by all the rejections leading up to the fifth manuscript. Now though, I have Ginninderra Press who seem to like my work. They also published The Crystal Ballroom this year. The Usual Story will be published by Ginninderra Press next year. It’s an extremely difficult road to publication and some people decide to self-publish rather than continue to be rejected. But other people are able to write a best-seller, an airport book that sells lots of copies, so big publishers like their work very much. Unfortunately, or fortunately, my books are classified as literary fiction, so a very small market. Big publishers are not interested in books that do not conform to the norm. Not enough money in it for them. I am very grateful to have my small but prestigious publisher. It’s a tough gig being a writer. Lots of isolation, lots of intense concentration, lots of rejection from publishers and agents. Sitting in a cafe with coffee and fountain pen is one of the good bits. Why do I write? It’s a good question to ask yourself. Because I want to impress my old school friends. So people will like me. So my friends will hate me. I’m no good at speaking up. So I can invent a new way of looking at the world. In order to write the great Australian novel and become famous. Because I’m a nut case. Because I’m an undiscovered literary genius. Because I have something to tell. Because I have nothing to tell. Hemingway has said, ‘Not the why, but the what.’ It’s enough to know you want to write. Write. One of my favourite books on the writing process is The Writing Life by Pullitzer Prize winning Annie Dillard. It’s a small and passionate guide to the terrain of a writer’s world. When you write, you lay out a line of words. The line of words is a miner’s pick, a woodcarver’s gouge, a surgeon’s probe. You wield it, and it digs a path you follow. Soon you find yourself deep in new territory. Is it a dead end, or have you located the real subject? You will know tomorrow, or this time next year. You make the path boldly and follow it fearfully. You go where the path leads. At the end of the path, you find a box canyon. You hammer out reports, dispatch bulletins. The writing has changed, in your hands, and in a twinkling, from an expression of your notions to an epistemological tool. The new place interests you because it is not clear. You attend. In your humility, you lay down the words carefully, watching all the angles. Now the earlier writing looks soft and careless. Process is nothing; erase your tracks. The path is not the work. I hope your tracks have grown over; I hope birds ate the crumbs; I hope you will toss it all and not look back. “And what work will I do once I achieve enlightenment?” asks the student. “Chop wood, carry water,” says the master. So how does this stay apply to the writing life? A writer writes. That’s all there is to it. Sounds like a fairy tale beginning to a fairy tale ending, doesn’t it? Perhaps that’s all ordinary readers need to know about Rowling’s path to literary fame, but us writers need more. We need to know the not-so-glamorous version of what it was like to write Harry Potter. We need to appreciate how disciplined Rowling had to be to develop her idea into seven hefty books. We have to know that she wasn’t lazily sipping mochas for two decades while jotting down a continuous stream of words like a literary Fountain of Youth. That’s why I write. What about you? Let me know in the comments and please share this post with a friend if you enjoyed it. I was delighted to see a one-page review of my novel ‘The Crystal Ballroom‘ in October Quadrant magazine (available now in newsagents or on-line). We’re practising walking the length of the hall. Alberto says that in Buenos Aires students of tango spend two years just learning to walk properly. “Extend forward,” he says, “step forward, only placing the weight on the extended leg at the last moment, toes pointed, sides of the feet staying connected on the floor.” Then backwards with a straight leg, torso pulled up, chest up and out, and with a partner again, always there’s that special connection with a partner. Hopefully, this wonderful review by Penelope Nelson will give sales of the book a boost. ‘The Crystal Ballroom’ is available directly from Gininnderra Press, in bookstores, and online. So much advice out there on writing process but these three books, old ones but good ones, are my favorites. You can see how well-loved they are by how many pages are marked with stickers. I’ve used the books many times when teaching my ‘Writing from Within’ course where we try to harness the unconscious by falling into an artistic coma. Have you ever longed to be able to draw or paint, write or compose music? In ‘The Artist’s Way’ by Julia Cameron you can discover how to unlock your latent creativity and make your dreams a reality. ‘The Artist’s Way’ provides a twelve-week course that guides you through the process of recovering your creative self. It dispels the ‘I’m not talented enough’ conditioning that holds many people back and helps you to unleash your own inner artist. ‘The Artist’s Way’ helps demystify the creative process by making it part of your daily life. It tackles your self-doubts, self-criticism and worries about time, money and the support to pursue your creative dream. ‘Writing Down the Bones’ Natalie Goldberg’s first book, sold millions of copies and has been translated into twelve languages. For more than thirty years she practiced Zen and taught seminars in writing as a spiritual practice. ‘Becoming a writer’ by Dorothea Brande is a reissue of a classic work published in 1934 on writing and the creative process. It recaptures the excitement of Dorothea Brande’s creative writing classroom of the 1920s. Decades before brain research “discovered” the role of the right and left brain in all human endeavor, Dorothea Brande was teaching students how to see again, how to hold their minds still, how to call forth the inner writer. ‘Refreshingly slim, beautifully written and deliciously elegant, Dorothea Brande’s Becoming a Writer remains evergreen decades after it was first written. Brande believed passionately that although people have varying amounts of talent, anyone can write. It’s just a question of finding the “writer’s magic”–a degree of which is in us all. She also insists that writing can be both taught and learned. So she is enraged by the pessimistic authors of so many writing books who rejoice in trying to put off the aspiring writer by constantly stressing how difficult it all is. ‘With close reference to the great writers of her day–Wolfe, Forster, Wharton and so on–Brande gives practical but inspirational advice about finding the right time of day to write and being very self disciplined about it–“You have decided to write at four o’clock, and at four o’clock you must write.” She’s strong on confidence building and there’s a lot about cheating your unconscious which will constantly try to stop you writing by coming up with excuses. Then there are exercises to help you get into the right frame of mind and to build up writing stamina. I hope these recommendations are helpful. Do you have useful books on writing process you would add? Let me know in the comments and please share this post with a friend if you enjoyed it.